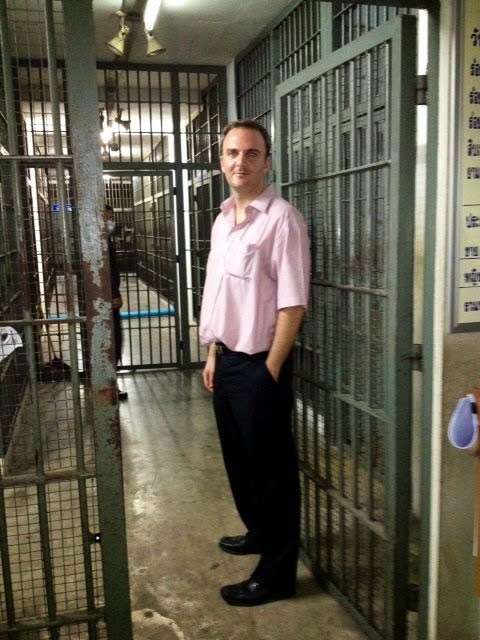 British Migrant Workers Right’s Campaigner Andy Hall was today acquitted of libel by a Thai court – delivering a blow to Thailand’s foot-shooting propensity for allowing victims of bad news to shoot the messengers. And while the messengers have been in the main foreign journalists, or like Hall, rights activists, the ensuing publicity seems for the plaintiffs to be self defeating. Outside the court Burmese migrant workers held placards and red roses saying ‘We Love Andy Hall’. (This rather flies in the face of a TV 3 ‘investigation’, er, stitch-up, which tried to demonstrate that Hall paid Burmese workers to lie about conditions at Natural Fruit’s main factory). And according to Finnwatch today there will be demonstrations in support of Andy Hall in Britain, the US, the Netherlands and Finland. But this of course does not deter the Natural Fruit Company whose alleged ill-treatment of Burmese migrant workers was the subject of a rather scathing Finnwatch Report. The second of another three cases brought by Natural Fruit begins tomorrow in Nakon Pathom court – this is a civil case for US$10 million, which I can confidently say Mr. Hall does not have. One could argue outside the court that the US$10 million worth of damages to Natural Fruit has been self inflicted. There’s that shot-gun again. But counsel for Hall will probably take a more pragmatic approach like many Thai companies which have decided to talk over and address where necessary criticism leveled at them rather than take the offensive. That’s an interesting position – as one of three businessmen suing me is suing for a story published in a newspaper in Scotland. 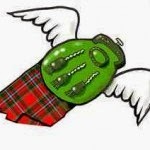 Och Aye. And we have also to await the case of the Royal Thai Navy suing Phuketwan journalists Alan Morison, and Chutima Sidasathian for publishing part of a Reuters report – not the much more damning stuff they have done on an international slave trade going on before their very eyes. 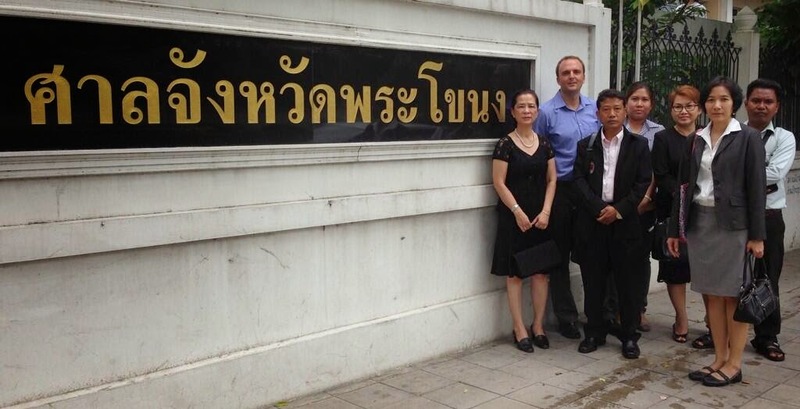 The Prakanong Court in Bangkok dismissed defamation charge brought against Andy Hall by Natural Fruit Company Ltd, a pineapple export factory. Natural Fruit has launched multiple criminal and civil prosecution against the researcher and activist since February 2013 as a result of his contribution to a Finnwatch report published in 2013. The report revealed serious human rights violations at Natural Fruit’s pineapple juice production facilities. According to the court decision the charge is dismissed due to unlawful interrogation process under section 120 of the criminal procedure code. – We are relieved and glad that justice has prevailed in this case, says Sonja Vartiala, the Executive Director of Finnwatch. During Andy Hall’s trial, the court heard, for instance, a former worker of Natural Fruit who testified that the factory was hiring under aged children and paid unlawfully low salaries to its workers. – The court hearings were yet another confirmation that, as Finnwatch’s report revealed, there are serious problems in working conditions at Natural Fruit. The question that now must be asked is why Thailand’s authorities have not taken action against the company however, says Vartiala. 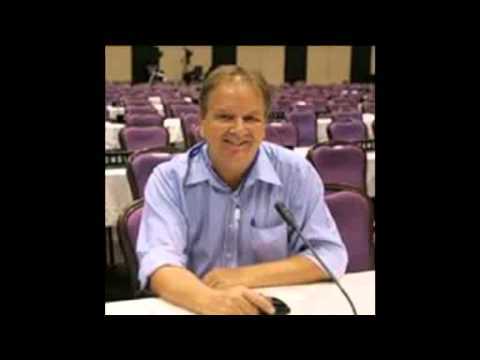 The case verdict today, concerning an interview Hall gave to Aljazeeraa on his criminal prosecutions, is just the first of four cases filed against Andy Hall by Natural Fruit. The second case, a US$10m civil defamation case, will begin tomorrow (30th of October) at Nakhon Pathom Court. The third case, computer crimes act and criminal defamation charges, will proceed on 17th of November at the Southern Bangkok Criminal Court. Dates for a fourth US$4 million civil case have not yet been confirmed. If Hall is found guilty of the additional criminal and civil cases, he could face up to seven years in prison and be forced to pay millions of Euros for compensation. – Finnwatch demands Natural Fruit now drop all the charges against Andy Hall. Instead of allowing companies to bring human rights activists to court, Thailand needs to prosecute companies like Natural Fruit, who are violating labour rights, says Vartiala. 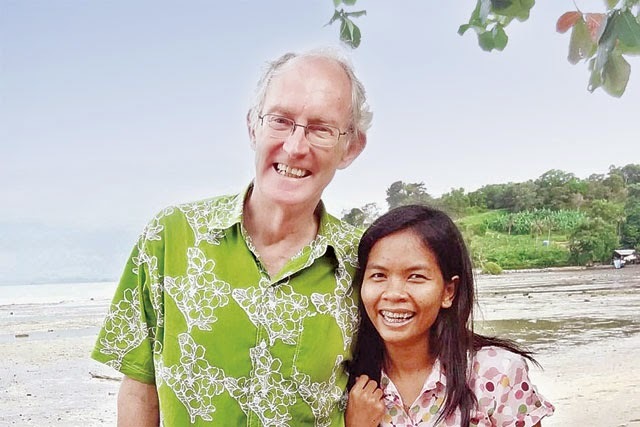 Finnwatch and hundreds of other international NGO’s regard the court proceedings against Andy Hall as judicial harassment and see that his important and successful work is being seriously hindered by these actions.